Citizenship: Former citizen of Russia/U.S.S.R., resident in United States of America under extended visa authorized by S.H.I.E.L.D. Born circa 1928, Natalia "Natasha" Romanova was apparently orphaned as a child when she was trapped in a burning building during an early attack on Stalingrad by enemy forces. Ivan Petrovitch Bezukhov, a Soviet soldier, found Natasha in the inferno and rescued her. Although Ivan kept a close eye on Natasha as she grew, by the late 1930s she had attracted the attention of Soviet intelligence, which began her training. In 1941, she was almost brainwashed into serving the ninja clan the Hand, but was saved by Petrovitch. Following World War II, Natasha was recruited to become part of the Black Widow Program, a team of elite female sleeper agents. Among the Widows many instructors, was James 'Bucky' Barnes (aka the Winter Soldier). Natasha studied as a ballerina to cover for her true occupation. The Soviet state eventually arranged for Natasha to marry Alexi Shostakov, a champion test pilot. After a few years of a happy marriage, the KGB faked Shostakovs death in a rocket test; grief for Shostakov drove Natasha's resolve deeper and she continued her education with the Red Room Academy, finally being appointed the title of the Black Widow. 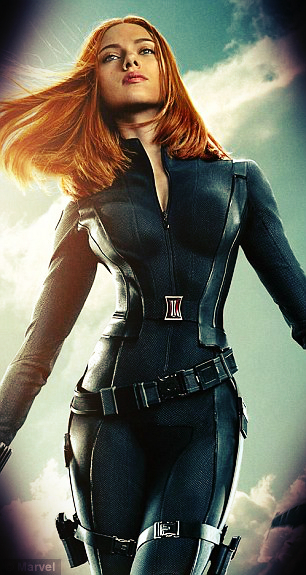 Eventually, Romanoff would come to discover the truth about both her orphan origins as well as the death of her husband. It was the Russian government that caused both of these. They chose her from birth for a life she had no say in and this is what caused Romanoff to defect from her homeland and leave its service. She greatly misses her homeland, but she will always remind herself of the loss of her family and the family-to-be that were taken from her. Natasha is currently working for both SHIELD and as a member of the Avengers team. She's one of the top agents in SHIELD and is doing her best to serve the Avengers many powerful mambers in being a quality team-mate and support member. She knows she's not the strongest member of the Avengers, but she also knows she can do a lot more than they may realize. PEAK HUMAN STRENGTH: Her physical strength is at the peak level of natural physical limits of a woman of her height, weight and build. She is capable of lifting up to 500 lbs. PEAK HUMAN SPEED: Her speed is also enhanced to the peak of human capability. Natasha is as fast as a human can be without being classified as superhuman. PEAK HUMAN AGILITY: Natasha's natural agility is heightened to a level greater than that of an Olympic gold medalist. She can coordinate her body with balance, flexibility, and dexterity easily. PEAK HUMAN REFLEXES: Her reaction time is similarly enhanced and functions with superhuman efficiency and capability. PEAK HUMAN DURABILITY: Natasha's bodily tissues have been augmented to the pinnacle of human development. Though she can be injured in the typical ways other humans can be, she possesses exceptional human strength, endurance, and stamina. PEAK HUMAN SENSES: Her five senses are enhanced and function at the peak of human perfection. MARTIAL ARTIST: Natasha is an expert in the field of martial arts. She is proficient in karate, judo, aikido, savate, boxing, and multiple styles of kung fu. ACROBAT: She is an Olympic class athlete, gymnast, acrobat and aerialist capable of numerous complex maneuvers and feats. MARKSMAN: Natasha is a very accurate marksman skilled in sharpshooting and knife throwing. MULTILINGUAL: She is fluent in Russian, English, French, German, Chinese, Japanese, and various other languages. GIFTED INTELLECT: According to Marvel, Natasha's intellect is at level 3, putting her on par with Steve Rogers. She possesses the ability to quickly process multiple information streams (e.g., threat assessment) and rapidly respond to changing tactical situations. DANCER: Natasha is a profound ballet dancer. TACTICIAN: She is a very effective strategist, tactician, and field commander. She has lead the Avengers and even S.H.I.E.L.D. on one occasion. HACKER: Natasha can hack into most computer systems without tripping any firewalls or security with ease. SEDUCTRESS: She is an expert in the field of seduction. Natasha has been infamously known to bend many different men to her will and sometimes even get them to do her bidding for her. She sometimes continues deceiving certain men through means of acting if she still has a further use for them. SPY: Natasha is a dangerous secret agent trained in espionage, stealth, disguise, infiltration, and demolitions. She displays an uncanny affinity for psychological manipulation and can mask her real emotions perfectly. Her talents and years of experience have enabled her to reach a high ranking as an agent of S.H.I.E.L.D. She could be considered very well off, even rich. She has been a spy for a long time, and undoubtedly has a few accounts across the European board that have been collecting for nearly fifty years. She does have SHIELD resources at her fingertips, when it comes to uniforms, weaponry, etc. UNIFORM: Synthetic stretch fabric which has been augmented to be highly resistant to damage even small arms fire and high temperatures. Microscopic suction cups on her costume allow her to scale walls and cling to ceilings, just as her namesake. Widow's Line: Retractable grappling hook and cable connected to the gauntlets, mostly used for rooftop gliding, rappelling and climbing up steep cliffs and hills. Widow's Kiss: An aerosol instant knock-out drug, pioneered by Russian Spetsnaz. When used it appears to be purplish pink fumes that can knock out a person for more than twenty hours. Widow's Bite: A high frequency electrostatic charge that also act as percussive energy blasts, that it effects can be felt for at least a month. It can deliver charges up to 250,000 volts. The "Bite" can be set to deliver minor shocks that causes stunning or high voltage currents that can be lethal. Explosives: There are many types of explosives stored in the gauntlet which includes grenades and other types of explosives that can cause damage to an opponent. Tear Gas Pellets: There is also tear in the gauntlet that can cause blindness when released. It can also cause the opponent to be knocked unconscious. Radio Transmitter: This enable Widow to lock on to a target and track its every move. If placed on a moving vehicle like a car or bike, it enables Widow to track down their location. FIREARMS: She carries a pair of SHIELD issued 9mm handguns on her. Sometimes one, if in different attire, but generally two. PHONE: A 'normal' smart phone, but it allows her a direct line to SHIELD as necessary with a high end encryption for security. Natasha is a cold, calculating Spy. Much in contrast with her lighter hearted partner, Hawkeye. An odd team, but they do make an inseparable pair. She holds allegiance and loyalty to heart, as it comes down to the finite details of: Her Job. Her boss has her utmost loyalty, over anything else in her life, including her relationships. Currently, that boss is Director Fury. Despite how cold she can be, she does know how to wear emotion like an acting mask. She allows what she wants to be seen to show, nothing more, and nothing less. She can turn on and off what she requires: Such as the play of 'fear' in a reverse interrogation she is known so well for to make them think they are winning. There is very little that would give the woman pause. She is nearly 70, and despite her youthful appearance, she has almost double experience of most of SHIELD's spy agents. She does not flaunt this, however, remaining aloof as necessary. Her true age is something that is her biggest secret, and as such, something she will protect to her dying breath. Natasha's flaws may reside in her over-reliance upon herself. Its possible that she's too independent and has developed a difficulty in trusting others. The trust issues are something that she's well aware of, and knows she needs to relax on… but her stern independence may be something that simply never goes away. Its likely that rather than facing a fight with a loved one, Natasha will turn from it and flee instead. She keeps anger bottled up inside of her and unleashes it on her work and the job in front of her. Some may describe her as 'cold' because of actions like this and they wouldn't entirely be that wrong either. 2016-03-06 Portals, Pizza, and the Paranomal. Oh My!